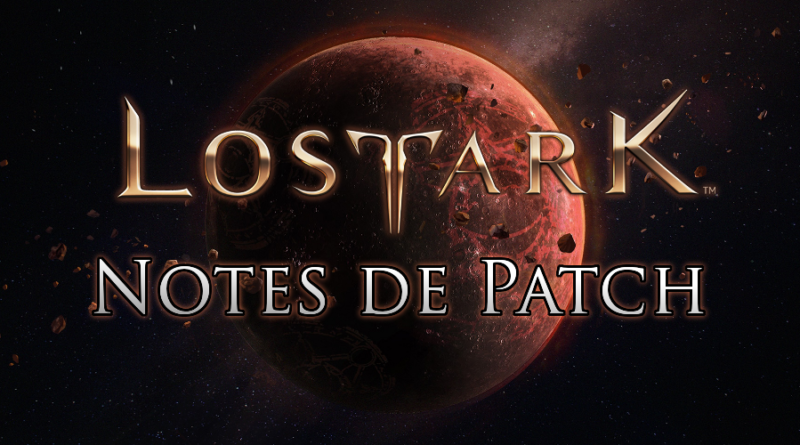 Comme chaque mercredi, un nouveau patch vient d'être déployé sur les serveurs de Lost Ark, avec au programme cette semaine : équilibrage des classes et correction de bugs divers. 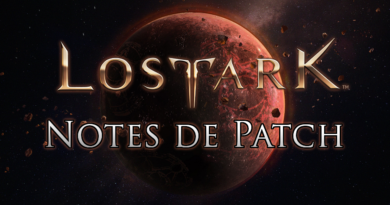 Voici la version anglaise du patchnote du 20 février 2019. Significantly increased party effect coverage from 8m to 24m. The effect of the party effect has been slightly increased from 22m to 24m. When using Liberation skill, the shielding effect per core is increased from 5 ~ 15% to 10 ~ 30%. However, the protective effect on the battlefield of the proof is 2.5 ~ 7.5%, which is the same as before. Increased the base damage of the skill by 15.0%. We have shortened the delay time so that we can continue the next action more quickly after casting the skill. We changed the 'hard heart' tripod to 'capture weakness'. Existing: Damage received during skill reduction is reduced by 30%, while charge is reduced by 50%. Existing: When the skill is hit by an enemy whose health is less than 30%, the damage increases by 20%. Change: When you hit a skill with an HP of 50% or less, your damage increases by 20%. We have adjusted the decision area to make it easier to hit the attack with the 'Sharp Hammer' Tripod. Increased the base damage of the skill by 45.0%. We changed the 'sharp wall' tripod effect as follows. Existing: Damage to enemies hit directly against the wall increases by 50%. Change: Increases damage done to wall-targeted enemies by 60%. In addition, we adjusted it to hit the wall more easily than usual. We changed the 'hungry power' tripod effect as follows. Existing: Though the attack distance is reduced by 30%, a circular shock wave spreads to form a round wall, and the damage to the wall increases by 40%. Change: The attack distance is reduced by 30%, but a circular shock wave extends to create a round wall, which increases wall damage by 60%. Existing: Do not jumble down the hammer in place. It extends 2m further forward, creating a wall that is larger in size and thickness, and increases wall damage by 25%. Change: Hit the hammer in place without jumping. It extends 2m further forward, creating walls that are larger in size and thickness, and increases wall damage by 40%. During gravity-weighted mode, you have increased your base hit damage by 110.5%. However, during PVP, the damage is the same as before. Increased the base damage of the skill by 27.8%. The effect of party effects has been greatly increased from 5m to 24m. We changed the 'attractive armor' tripod effect as follows. Existing: When casting a skill, the party's critical resistance increases by 25% for 6 seconds. Change: When a skill is cast, the party's critical resistance increases by 15% for 6 seconds. We changed the 'tripping' tripod effect as follows. Existing: When a skill is cast, the party's critical hit rate increases by 25% for 6 seconds. Change: When a skill is cast, the party's critical strike rate increases by 10% for 6 seconds. We have reduced the critical hit rate from 10% to 25% to 5% to 20% for hit targets. Existing: In the event of a critical hit, an attacker's critical hit rate increases by an additional 15%. Change: When an attack is hit, if a critical hit occurs, the attacker's critical hit rate increases by an additional 10%. The effect of 'Monster Overdrive' has been changed as follows. Existing: When attacking, the target monster gains 5% for 6 sec. Change: When an attack is hit, the target monster will receive 10% damage for 6 sec. Increased the base damage of the skill by 11.1%. We changed the 'shock explosion' tripod effect as follows. Existing: Depending on the amount of impact gauges you have, bonus damage increases by 25%, 50%, 75%, and 90%. Change: Increases bonus damage by 20%, 40%, 60%, and 120% depending on the amount of impact gauges you have. The effect of party effect has been greatly increased from 4m to 24m. The effect of the "Fury of the Battleground" tripod has been changed as follows. Existing: When attacking with an attack that attacks with a palm, it spreads a period of 3 seconds to increase the attack power of the party and its surrounding party by 20%. Change: When you hit an attack with a palm struck, spread a period of 6 seconds to increase your attack power by 15%. In addition, the effect of 'Fury of the battlefield' has been modified so that only one can be maintained. Existing: When the last hit, 4 seconds to increase the attack power of your own and nearby party 20% spread. Change: When you hit the last hit, spread your weapon for 6 seconds to increase your attack power by 15%. Existing: When using the skill, for 3 seconds to reduce the damage received by the party and 30% of the party spreads. Change: When using Skill, spread 3% of the damage that you and party members receive by 15%. Changed the 'Fury of the Battleground' tri-pod to 'Cheers of Victory'. Existing: When using Skill, you can increase your attack power by 10% for yourself and nearby party members for 3 seconds, and stack up to 3 times. Change: When using the skill, you can spread your ability to increase your attack power by 10% for 3 seconds, and stack up to 3 times. Changed the 'Fury of the Battleground' tri-pod to 'Commander of the battlefield'. Existing: Increases your attack power by 30% for 6 sec. Change: Increases your attack power by 15% for 6 sec. We have changed the 'experience of victory' tripod effect as follows. Existing: Stronger to roll, more 6 seconds to increase the hold time. Change: Stronger foot rolls increase the hold time by 3 seconds. We have changed the 'Shogun Shogun' to the Shogun Shogun. Existing: Attack range increases by 100%. Change: Gives a strong damage to enemies within 4m. We changed the 'slow target' triad to 'capture weakness'. Existing: If the enemy moves slower, the damage increases by 40%. Increased the base damage of the skill by 86.5%. Increased cooldown from 9 seconds to 18 seconds. Increased mana consumption by about 35%. We have changed the 'accumulated energy' tripod effect as follows. Existing: You can not acquire ancient energy during holding, but if you hold more than 3 seconds of holding, you get a 50% chance of getting one elemental bead. Change: You can not acquire ancient energy during holding, but if you hold more than 3 seconds of holding, you gain 80% chance to gain 1 spirit bead. We changed the 'group fly' tripod effect as follows. Existing: Increases windbirds, increases attack width by 30%, and ignores magic defense by 50%. Change: Increases windbreaks, increases attack width by 30%, and ignores magic defense by 60%. 'Mother Windbird' Increased the base damage of the mother windbird by 33.3% in the city of Tripod. Existing: Ignores 50% of the enemy's magical armor, which is immune to the attack. Change: Increases the damage done to your enemies by 50%. Increased the base damage of the skill by 16.0%. The basic skill effects have been changed as follows. Existing: Summons a sticky moss swamp in the mouse position, giving [Sat] property damage every second to moss swamps, reducing movement speed by 60%. Change: Summons a moss swamp that is sticky at the mouse position, giving [Sat] property damage every second to moss swamps and reduce movement speed by 60% for 2 seconds. We changed the 'caustic moss swamp' tripod effect as follows. Existing: Reduces 60% of all enemy armor on moss swamps. Change: Reduces 60% of all enemies attacked by moss swamp for 2 seconds. Increased the base damage of the skill by 13.3%. Increased the base damage of the skill by 25.0%. Increased the base damage of the skill by 44.4%. Increased the base damage of the skill by 9.0%. The effect of the party effect has been increased from 14m to 24m. The physical strength coefficient has been increased from 1.8 to 1.9. Increased the base damage of the skill by 30.4%. 'Carpet Bombing' At Triomphe, you have increased the damage of additional explosions by 100%. 'Eternal Catastrophe' The city of Tripod has increased the damage of debris explosion by 100%. Increased the standard damage of the skill by 73.9%. We changed the 'quad explorer' tripod effect as follows. Existing: Increases the number of Chain skill activations by 4 and increases the critical hit rate by 40% for enemies whose life is below 40%. Change: Increases the number of Chain Skill activations by 4 and increases the critical hit rate by 100% for enemies with health below 40%. We changed the 'Super explorer' tripod effect as follows. Existing: Increases the target's damage time by 30%, but stuns the enemy for 3 seconds when attacking the last chain. Change: Increases target's damage by 50%, but stuns the enemy for 3 seconds when attacking the last chain. We have changed the 'Strong Shock' tri-pod to 'Destroy Armor'. Existing: Higher enemies and longer downtime. Change: Reduces all enemy armor that is hit by an explosion by 20% for 6 seconds. We changed the 'Flash Explosion' tripod effect as follows. Existing: Stun enemies that have been damaged for 4 seconds instead of putting them in the air anymore. Stun Shock increases the stun time by 6 seconds. Change: Stun enemies that have been affected for 4 seconds without launching them into the air anymore. Increased the base damage of the skill by 97.0%. Increased cooldown from 12 seconds to 24 seconds. Increased mana consumption by about 50%. Increased the standard damage of the skill by 13.0%. Existing: Increases the damage done by the shell to enemies that are immune to the attack by 15%, and increases the neutralization level by 1. Change: The neutralization phase increases by one. We changed the 'nuclear bomb' tripod effect as follows. Existing: Drops a very large and powerful single shell. The range of damage and explosion given to enemies is greatly increased, and harmful effects from flame bombardment and cold bombing are applied as maximum overlapping effects. Change: Drops a very large and powerful single shell. The range of damage and explosion given to enemies is greatly increased, and harmful effects from flame bombardment and cold bombing are applied as maximum overlapping effects. In addition, 60% increase in damage to enemies that are immune to the attack. Increased the base damage of the skill by 26.7%. We changed the 'monster hunting' tripod effect as follows. Increased the base damage of the skill by 12.5%. We changed the 'right-angle' tripod effect as follows. Existing: The charge phase is added once, and when overcharged, the damage done to the enemy increases by 30% and the critical hit rate increases by 30%. Change: The charge phase is added once, and when overcharged, an unconditional critical hit occurs. We changed the 'easy prey' tripod effect as follows. Existing: The size of the Perfect Zone increases, and when the Perfect Zone succeeds, the critical hit rate increases by 40%. Change: When the size of the Perfect Zone increases, and the Perfect Zone succeeds, the critical hit rate increases by 50%. Increased damage from enemies to 5% to 20% to 8% to 30%. We have adjusted the difficulty of some of the Raid Guardians as follows. These adjustments are independent of day raids. Decreases the ATK of the 2nd level Raid Guardian 'Chromania'. Decreases the attack power of Reaveros' 3rd level raid guardian. Decreases the damage and stamina of the Lava Chromanium in Level 3 Raid Guardian. Decreases the damage and stamina of 'Heavy Armor or Crassena' from 4 levels of Raid Guardian. Given the coordinated balance of classes and battle items, the Guardian's stamina on weekly raids has been reduced. If the party member does not enter the regular raid on the weekly raid, the use of the ticket is protected and the guideline of the automatic inversion failure screen is reinforced. We reduced the damage of the battle item 'Firebomb' by 27.6%. We have increased the damage of the battle item 'Thundering Potion' by 6.67%. We have reduced the attack power of the battle item 'Adropin Potion' from 40% to 30%. I have added the guideline related to the payment target to the compensation information window of Sila Mael. Sila Mael battlefield 'participation compensation' information button icon which can check the detailed information has been added. Sila Mael Battlefield Challenge Challenge Application Guideline Guideline has been revised to make it more clear. We have modified the first page to be displayed by default when viewing 'Rank of the week', 'Last week', 'Occupation status' of the Sila Mael battlefield rankings. The following restrictions have been added to all of the base stations. We have adjusted the Balance of the base of the Sila Mael battlefield 'Heretic Place' as follows. Modified the position of the 'Silmael Buff' object of Sila Mael Battleground. If a guild that was registered in the Sila Mael battlefield rank is disbanded, the guild that has been disbanded has been modified to be removed from the list of reward rewards. I have corrected the phenomenon that the description of tooltip of Sila Mael Battlefield's Occupation Buff 'Protector of the Land of Conqueror' and 'Giant's Nest Conqueror' is displayed differently from reality. Fixed a bug in the Sila Mael Battlefield tooltip that did not show a description of whether or not a specific region was applied. Sila Mael Battlefield Guild War is now in progress. Fixed the problem that no symbol is displayed on the character's head when the buff is acquired. Sila Mael Battleground Guild Wars have been modified to include basic action scores at the time of the Conqueror's treatment. Added guideline 'Mark of Tooth' to the participation item of Sila Mael battlefield guild war. 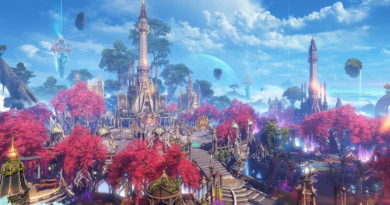 Sila Mael Battleground Fixed a bug where some guild rating values ​​were displayed as 0 on intermittent baseball rankings. Fixed the problem that intermittent "abandonment" UI is not confirmed at the base of Sila Mael Battleground. Fixed the problem that the background object at the bottom of the cheong team obscures the screen in 'Sham eagle battlefield' of Sila Mael battlefield. We modified the expression of the name of the guild member which was marked not to be uniform. Added guild message when inviting guild to a character with a guild withdrawal penalty. When changing a new guild member's position, a message has been added so that the target character's new guild member's release time can be known. Guild Ranking 'Guild Ranking' ranking information that is the basis of ranking information is displayed first to have been modified. We have added a message to inform you whether or not the guild withdrawal penalty is applied when a single guild is dissolved. The ghost ship that hates life is circulating around Orbis Island and has been modified to appear at random locations like other ghost ships. Fixed a situation where characters can not move to specific locations on Pomona Island. Fixed the phenomenon that is used in narrower area than the available area of ​​'magic jar' item on the island of time is displayed. We have improved the guidance sentence when using the 'magic pot' item after 'Sabunnak' treatment on the island of time. After the change: You can use it again after a certain time after the Sabunnake treatment. In case of lack of good fortune, we have adjusted the sales price of some items acquired with the skill of 'Ngam' as a sailing skill to a level suitable for acquisition difficulty. Fixed a situation where 'run' does not work on terrain that can 'jump' to the bottom of Anzy's Twilight Mist. Chaos dungeon 'erosion darkness' intermittent boss initialization has been fixed the phenomenon. Chaos Dungeon 'Nightmare Cave' using a specific item to move the boss before the phenomenon has been fixed. Fixed a problem that the quest was used abnormally in the 'Dungeon of the Void'. Chaos dungeon 'beyond the border' intermittent boss battle re-entry is impossible to fix the phenomenon. Fixed a problem in which the quest was not completed intermittently during the quest 'Nightmare Heart' in the Balpurgis Night of Valpuris Island. Fixed the phenomenon that one monster is left untouched when the output of the "Adino" monster is canceled and output is in progress while proceeding into the quest 'Pirate' s Lair 'quest of the Totoik continental dungeon' Pirate Dig 'quest. Fixed the phenomenon that skip UI is output even though it is impossible to skip in Handel's Continental Dungeon 'Palace of Dreams'. Fixed the problem that the chessboard is not displayed when killing the look and queen boss in the specific location in the Handel's Continental Dungeon 'Palace of Dreams'. Dungeon Quest 'Dungeon Quest' 'Dungeon Quest' 'Dungeon Quest' 'Dungeon Abrelst Shade' 'Cullin Queen' 'When you mouse over the quest symbol of the map, the quest target is duplicated. In Artemis continental dungeon 'Agilos' head', the character was intermittently unable to move through the vine. Fixed the phenomenon that the dungeon can not proceed due to the intermittent activation of certain movement interactions during the Anitts continental dungeon 'Yanchin'. During the quest 'Village of Sorrows' in the Eastern Blackrock Missionary Quest, we corrected the phenomenon that can not destroy the target object, the web, with the basic attack of Summoner and Bard class. Fixed a problem that can not destroy the dream of the dream with the projectile skill of Summoner and Bard class during the 'Collecting Materials to repair the Boat' phase of Quest of Dream Island. In the course of the Handel Water's Sanctuary Quest 'The Way of the Lotus Flower', we corrected the phenomenon that can not destroy the dream of the dream with the projectile skill of Summoner and Bard class in the stage of 'destruction of the real dreams'. Beatrice Favorability Quest 'Dark Chaos Gate Stop' While Chaos Gate is closed and the operation is ended, the character is moved instantly. BOLORIUM QUEST 'OPERATING NAME: Cannon and harpoon' after the completion of the cannon, when the landing position, you can not move to fix the phenomenon. Fixed a problem where the area of ​​the second stage of the 'Hiff North's Challenger' quest was incorrectly displayed in the eyes of the Hiff North. As the Handel 'Steal the Bounty' Quest During the 'Ominous Forerunner', we have further refined the display of the quest area in the 'Rescue of the Inhabitants' phase. Shu Shi Rye Gens Village Group Quest 'Shirofu Peak Time' is the first in the order, but the Quest Journal 'Story Progress' has been corrected the fifth phenomenon is displayed. Fixed the problem that the final reward item that will be paid when you complete the quest 'Seung-Dong' is not displayed in the quest journal. Boombling Island Quest 'Let's Get Ready for the Fest!' And 'Sinclair's Request' are not group quests, but we have fixed the phenomenon included in the group quests. Boom Bling Island Quest 'festival begins!' Fixed the problem that the final reward item that is paid when completed is not displayed in the Quest Journal. Fixed a situation where if you leave the platinum field or exit the mode very quickly, you will not be able to acquire the platinum coin. Fixed a problem that when selecting a floor in the stair selection UI of the Tower of Shadow lobby and clicking 'Enter' continuously, 'Unknown error' message is displayed. During the Tower of Shadow 50th Stage, when the ranged attack, the phenomenon that does not hit intermittently is fixed. Fixed a bug that prevented field bosses, but was not counted in adventure books intermittently. Has corrected the phenomenon that the interaction of the 'contaminated first moon ceremony' in the Handel area 'Destroyed Xenay' is impossible. We changed the count condition of the expedition task 'I will be a fisherman catching fish' from continuous success to cumulative success. In the Expedition UI UI, from the second stage of each achievement, the progress phase is not updated in real time. Eyes of Eiffel North Appeal commissioned 'defense, pirate discipline!' During the process, we have fixed the phenomenon of the appearance of the Arena NPC. Fixed the problem that the NPC 'Guild Scrivener Serazza' is not seen. Fixed a situation where the number of acquisitions of Arkanas Samduk was excessively set when fighting a large number of monsters. Summoner 'Flying Bird' skill 'Mother Wind Bird' after the application of the tri-pod, a large number of monsters in combat with the amount of identity acquisition was overset the phenomenon has been fixed. Warlord 'Shout of Hate' Tripod 'Wide Shot' application, the scope of 'morale boost' widened the phenomenon. Destroyer 'Heavy Crush' Tripod When 'Instant Shot' is applied, the time to take other actions after casting the skill has been increased slightly. Fixed the battle master 'internal combustion' attack cycle being applied differently intermittently. Devil Hunter 'Execution of Execution' Fixed the phenomenon that when the 'Tough Fort' of the Tripod is applied, the state immunity is also applied while rushing. Fixed the problem that when using some projectile skill in a wreck with a vine, the projectile stops and does not damage. Fixed an unusual sound when applying Battle Master 'Flame Combustion' TriPod 'Fierce Combat'. Summoner Identity Skill 'Jahia & Liegeas' holding time is not exposed, corrected the phenomenon. Blaster 'Bombardment Mode' has been modified to disable the ability to mount and release weapons. Corrected damage to the 'Engrave: Ether Evaporation' in normal combat. Fixed the problem that when using a skill, 'Double Leap' engraving effect does not activate when using a mobile device. Fixed the phenomenon that the motion was canceled when using the machete throwing while using life contents. When attempting to register a bundled item in the exchange, the text in the 'Price per bundle' field of the registration settings popup is displayed as 'Enter price per piece'. Fixed the phenomenon that the upper and lower display that can distinguish the goods are not clearly exposed when searching the exchange. Some imprint items with limited acquisition opportunities have been made non-destructive. Fixed the problem that some material items can not be moved to the material warehouse when clicking the 'Move Material Item' button in the material warehouse. During the exchange NPC, when you use the Enter key after entering the item you want to purchase in the purchase pop-up window, you have only one purchase, regardless of the quantity entered. Fixed the problem that the acquisition point of "explosive expert engraving book I" is displayed incorrectly in the item dictionary. Fixed the phenomenon that 'Telescope Engraver I' is not exposed in the item dictionary. We have modified the "Sila Mael battlefield" category registered in the "Possible Content" calendar to be above the "Others" category. Fixed the problem that 'Silmael Field' category is not exposed according to the equipment item level worn on the calendar. We have changed the recommendation content selection criteria of the calendar to 'Item level based on current item' → 'Best item level achieved by character'. 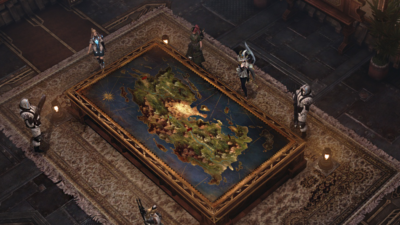 Fixed a problem where the position of a character is not displayed when opening an expansion map at a specific location on a large mushroom island. Fixed the problem that the number icon of PC connection connection compensation count is not updated. When interacting with an object that requires casting, opening the Lost Arc Shop, the phenomenon that chatting is impossible is corrected. Fixed fonts that were displayed differently in some UIs. Fixed a raid guardian 'Taitaros' that used an earth blast skill in certain terrain, causing the effect to appear below the terrain. To modify the appearance of the square holes in the Handel area to more closely match the surrounding environment. Fixed the problem that system message and sound are not output when using SmartPing continuously. 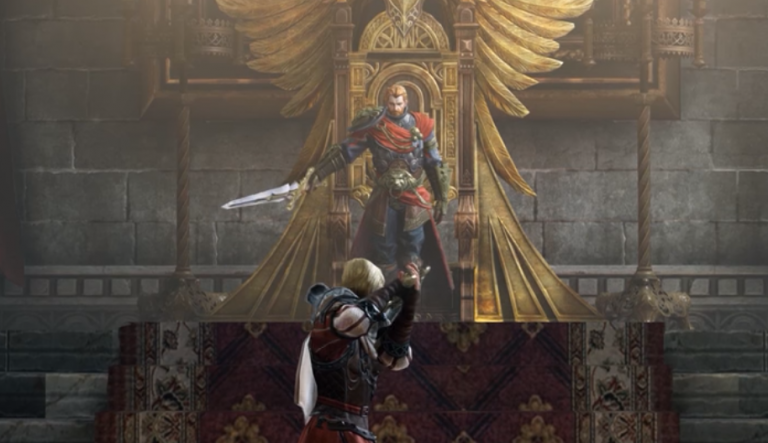 Devil Hunter Avatars 'Damaged Dawn' and 'Dawn of Despair' Fixed the phenomenon where the graphic of the part where the smoke effect appears abnormally when worn under the top and bottom. Fixed the phenomenon in which the waistline appears to be open when the avatar is worn under the "bouncy spring" and the waist is worn. It has been improved to display the number of runes in the runnable list. When installing a rune, there is a low probability of 'An unknown error has occurred.' , The message that the rune is not installed will be displayed. Fixed the problem that when using rune, magic powder used is not initialized to 0 even if rune slot is changed while setting magic powder to use. Fixed the problem that if you select another rune slot with the rune mount success probability displayed, the existing success probability figures remain. Fixed the problem that mouse cursor size does not increase according to DPI setting magnification. We corrected the phenomenon that the expiration period of the postal mail is changed when only one item is received and reconnected from the postal mail containing multiple attached items. Fixed the phenomenon of 'N' symbol remaining in 'Events' in the shortcut menu when attendance event is terminated with remaining attendance event compensation available. Corrected the phenomenon that the item information of the favorability increase compensation window is not output intermittently. Fixed the phenomenon that the effect of marking is not displayed in the character information window when moving through the area by entering from opposite area. Handel 'Shadow of El Zawin' has improved the appearance of some local water graphics. Fixed the phenomenon that graphic of some NPC is displayed abnormally according to the quality set by environment. The Handel Dungeon 'Elemental Land' Monster 'to Fernie' s Fist Nana Skill effect has been corrected to the opposite side. Fixed some typos in the game text. We have fixed the position of some objects placed in unusual places. On the loading screen, the island's mind acquisition sites for the following three kinds of islands will be revealed.